Just a reminder to everyone that our show is tonight! On tonight’s show, Steve Goltz and Kevin Sommerfield will be looking at their top ten favorite horror sequels. Movies we think are just as good, about as good, and, in some cases, even better than their predecessor. 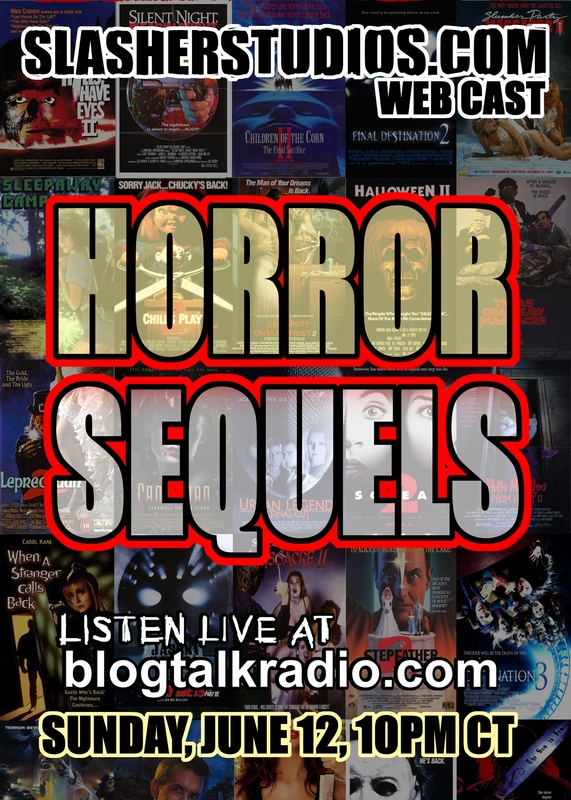 So make sure to listen in with your list and call in to talk about the horror sequels that YOU really love! It’s going to be a great show! Tonight at 10PM central. Click on the link below for more details or to listen to a previous show.